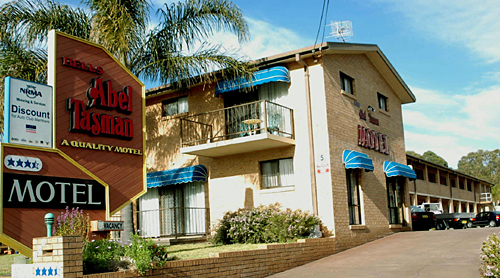 Scenically and conveniently situated at Corrigans Beach, our motel units offer a range of fine accommodation in a great location. The Batemans Bay area has a wonderful array of holiday activities and all are within easy distance of the Abel Tasman. The motel units are opposite the expansive Corrigans Beach reserve which has picnic facilities and a children's playground. Watch the colour of yachts and other activity of the bay, fish from the beach, sail, swim or snorkel, there’s something for everyone right next door. It’s just a short walk to local shops and restaurants. The 27 hole golf course and club, Birdland Animal Park and the marina are just a minute’s drive. 222 Beach Rd, Batemans Bay 2536. Phone (02) 4472 6511, fax (02) 4472 4027 or email.